The Honorable Minister Louis Farrakhan was speaking when I took these two photos. It was a beautiful day. 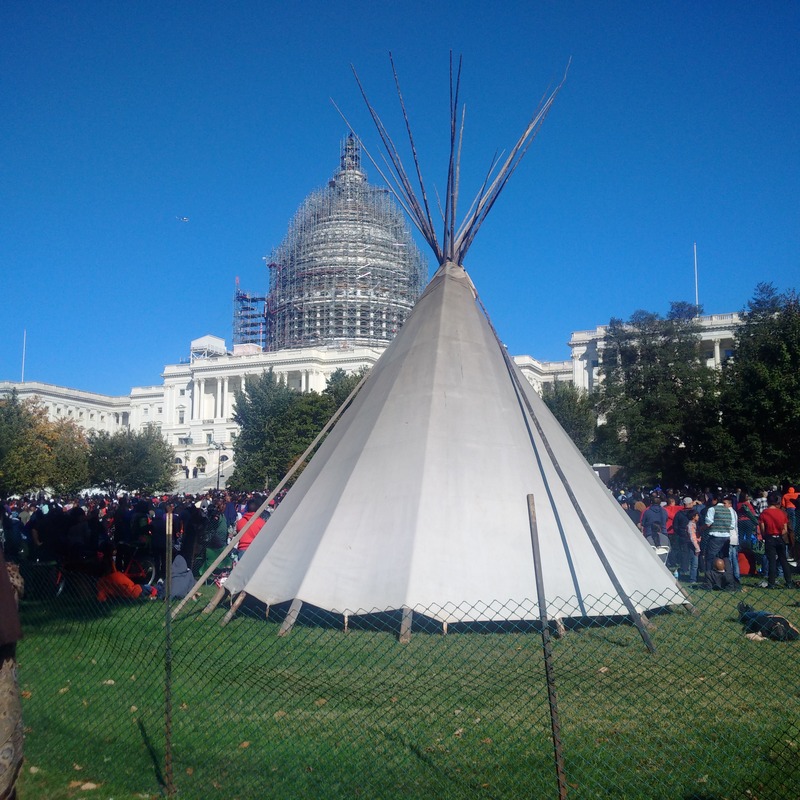 I finally made it to the lawn around 10:30 am when I took this photo. 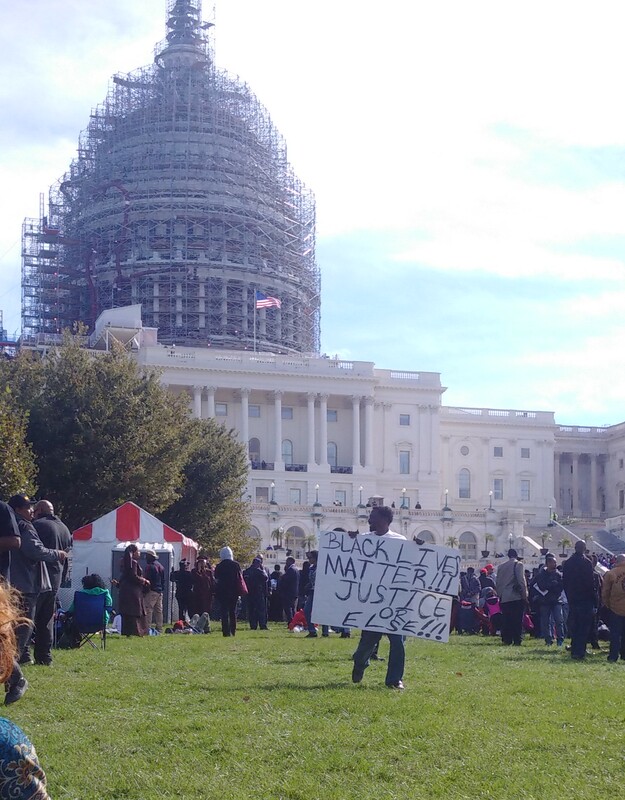 As I listened to all of the guest speakers on this day, and as I waited to see and hear The Honorable Minister Louis Farrakhan, I was surrounded by a sea of beautiful people, united for justice. Brotherhood and Sisterhood was abundant, and love showed its glory. Overwhelmed with emotion, I couldn’t help but shed tears of joy. On the most incredible and life changing days of my life, my fire was lit, and it was ignited deep within me. I promised to stay on a righteous path. I promised to be better and do better. Feeling a renewed sense of self and purpose, I promised to do more. I will continue to teach, both in the classroom, and out of it. 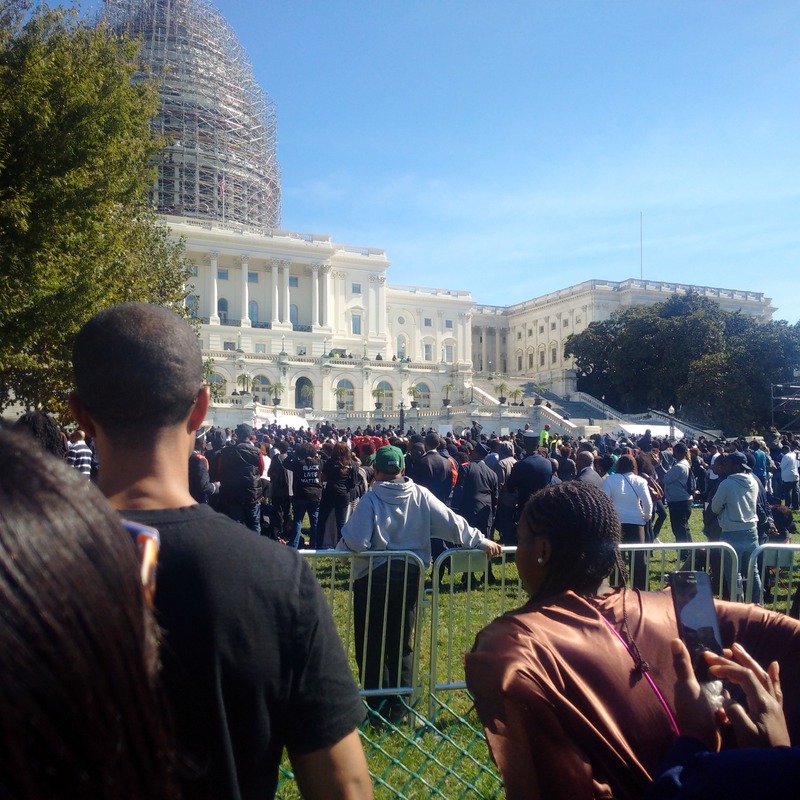 This entry was posted in Photography, Writing and tagged #JusticeOrElse, 10.10.15, Justice, Million Man March, Nation Of Islam, The Honorable Louis Farrakhan, Unity, Washington D.C.. Bookmark the permalink.